The cork has been popped and the latest attempt to engage the wider UK music public with a form of country music is out to show that it’s more vibrant fizz than flat drizzle. In a shadow of collaborative US tours, the two acts spearheading this industry driven manoeuvre opened an assault on matching their media persona with live audience engagement. 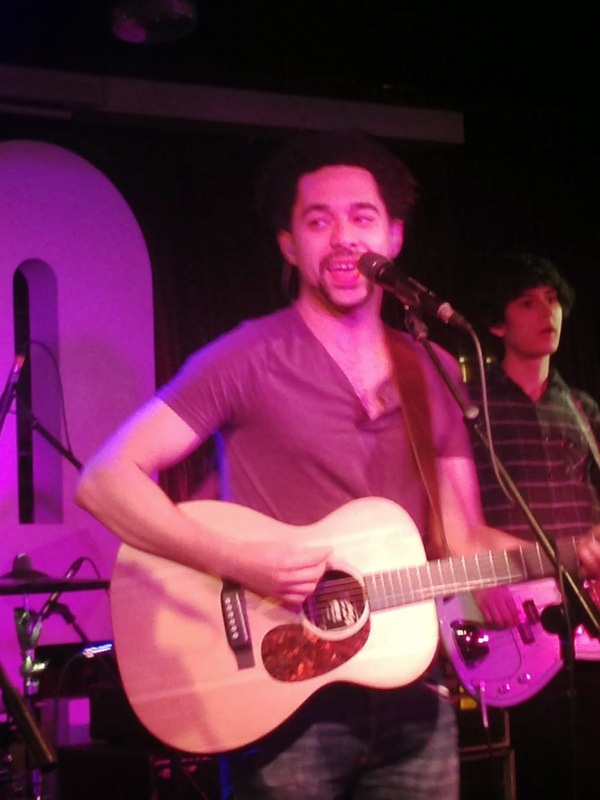 The Shires and Ward Thomas have been presented with a golden opportunity to drive a 'country' wedge into the mainstream with the next phase being a co-headline cleverly curated 'Homegrown Tour' which opened in Birmingham tonight. In a mirror image to the stateside trend, those seeking mainstream approval see the ditching of banjo, fiddle and steel as a prerequisite to success although quite rightly they still retain the power of song. So the Glee Club stage was filled with guitars, keyboard and drums along with a near sell-out crowd the envy of many a UK artist ploughing the country, roots and Americana path. Prior to the two rotating main acts, Dexeter opened the evening although appearing as a duo instead of their trademark ever expanding band. In a developing theme of the evening, an abundance of well-constructed songs flowed from the stage sung with no mean vigour and impressive range. You got the impression that Dexeter may be at their best with their band and rave reviews have backed that concept. One little piece of advice is not to apologise for singing too many sad songs. This is the country music way. The Shires momentum is being guided by one of Nashville’s 'biggies' in Decca Records and the clock is ticking towards that all important debut album release in January. Making a first appearance with their band, the songs previously confined to the acoustic domain live took on a new lease of life with a fuller sound. The vocals of Crissie are entirely suited to the power ballad style which follow a Nashville blueprint and make a successful transition from studio to stage. A load more full band gigs will help further cement the onstage chemistry between Chrissie and Ben who are still relatively in their infancy as a performing duo. Both come across as accomplished performers keen to bring their own songs to the table and inject a home grown slant to the themes conducive with modern country outage. ‘On a Friday’, ‘Tonight’ and ‘Stateline’ were three songs to benefit from a renewed live rendition. Ward Thomas have laid their cards on the table with a debut album packed full of toe tapping melodies and a sense of how to bridge the ideals of country music. The songs are rich in influence, sincere in sentiment and provide a cutting personal insight on their surroundings. 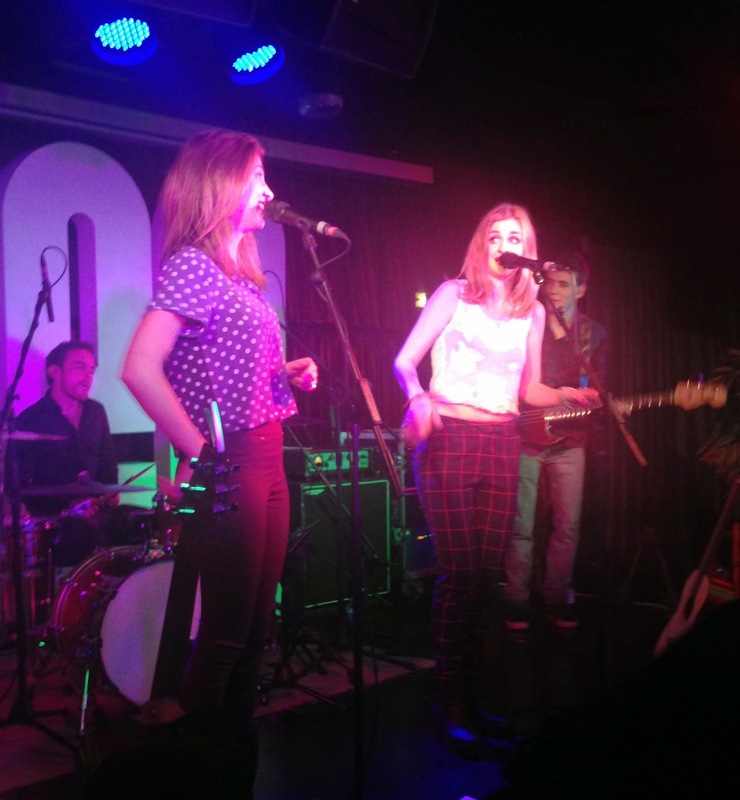 The twins, Catherine and Lizzy, are more advanced with the use of a band and were graced by a lead guitarist quite easily the outstanding musician on the evening. This was in parallel with the evening’s stand out song and a rather raucous rockin’ version of ‘Town Called Ugely’. Many present obviously were initially exposed to the band via the Radio 2 playlist numbers ‘Push the Stride’, ‘Way Back When’ and the lively opener ‘The Good and the Right’. However from a personal angle they are equally as competent with their folk inspired material including ‘Wasted Words’ and the excellently covered Dougie McLean standard ‘Caledonia’. It would be difficult to argue against the evening’s prime moment as the twins opened their headline set with a spine-tingling a Capella version of Loretta Lynn’s classic ‘You Ain’t Woman Enough To Be My Man’. However just like in the US, there is going to be vigorous and healthy debate about the direction of country music especially when profiles are raised by media and label presence. On the other hand, a ready-made audience may just want to accept the bands on their own merit and undeniable talent.